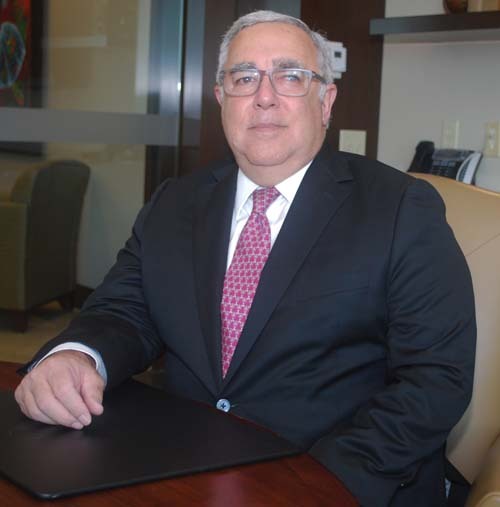 For more than 30 years, Alcides I. Avila has been helping domestic and foreign banks take advantage of opportunities in South Florida and meet the challenges of regulatory and economic climates. “Miami is a very attractive market for private banking, wealth management and trade finance,” says Avila, a founding partner of Avila Rodriguez Hernandez Mena & Ferri LLP (ARHMF) in Coral Gables. Avila represents domestic and foreign clients in all aspects of bank transactional matters, including regulatory issues, lending, and mergers and acquisitions. He regularly represents clients before the Federal Reserve, the Federal Deposit Insurance Corporation, the Office of the Comptroller of the Currency, the Florida Office of Financial Regulation and other state and federal agencies. In addition to his banking practice, Avila handles domestic and international business transactions, including cross-border mergers and acquisitions and financings. After high school, Avila married his wife Caridad “Cary” and began working for First State Bank of Hialeah-Miami Springs, a community bank later acquired by Barnett Banks. He went to Miami Dade Community College for one year and then transferred to the University of Miami, earning a degree in business administration with a concentration in finance and banking. Next, he and his wife moved to South Bend, Indiana, so Avila could obtain his law degree at Notre Dame. “I still remember the blizzard of 1978, and the biting cold,” says Avila, who retains strong ties to his alma mater and is an active volunteer in the Notre Dame Club of Miami. The Avilas’ son Christopher, now an associate in his father’s firm, is also a Notre Dame graduate, while their daughter Alyssa recently graduated from the University of Colorado with a degree in English literature. Avila assisted with the licensing of many of the foreign banks that opened offices on Brickell Avenue, creating what has been called the “banking capital of Latin America.” His clients included the first Edge Act corporation conversion to a national bank, which became Pacific National Bank, and Banco Latino International, the first such financial institution to file for bankruptcy protection. After more than a decade with the Valdes-Fauli law firm, Avila and several other attorneys joined Holland & Knight in 1993. Avila became global head of the firm’s banking and finance practice, before leaving in 2007 to open his own firm. “I had always wanted to practice in my own firm, with more independence, flexibility and balance,” he says. Looking ahead, Avila says both U.S. and foreign banks face increasing pressures to comply with rules and regulations in areas ranging from anti-money laundering to consumer compliance.While lending activity is picking up across the board, some banks are still facing financial challenges. In addition, a wave of mergers and acquisitions among European and Latin American banks has reduced the number of international banks in Miami.